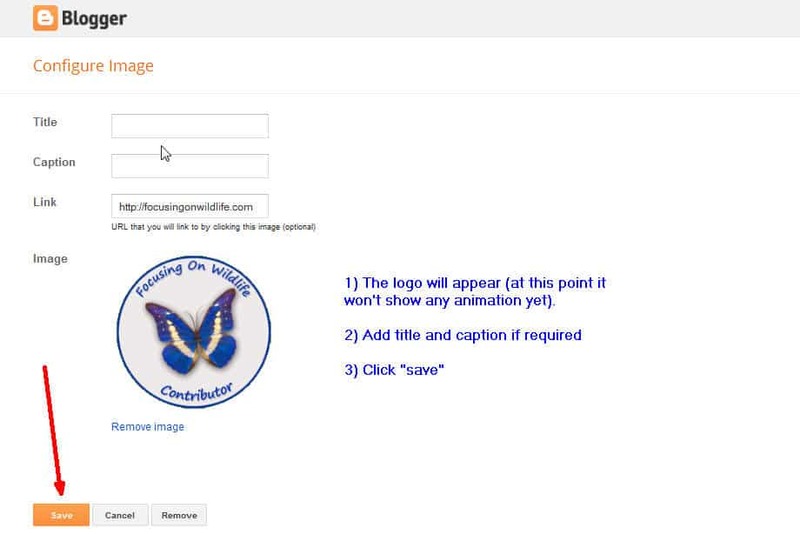 Please help us to increase awareness about the urgent need to preserve biodiversity by mounting one of our attractive, animated butterfly logos on your website or blog. Choose the logo according to the background color of your web page and the width of your sidebar. The logos do not need to be downloaded to your computer (animation may be lost). 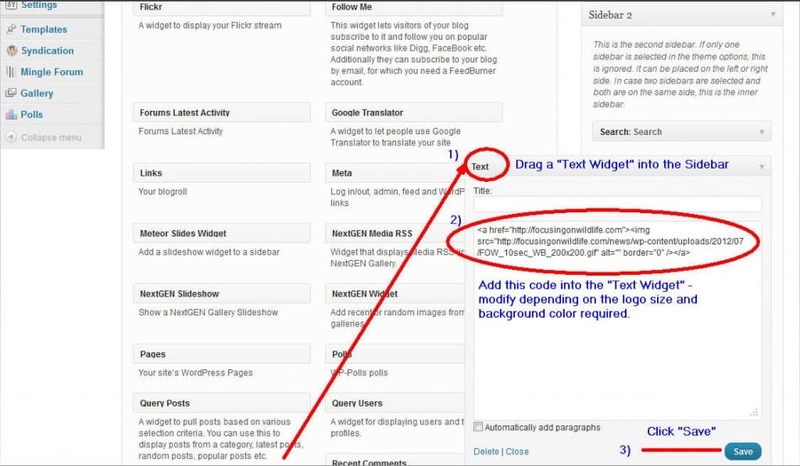 Copy the HTML embedding code underneath your chosen logo and paste it into a “Text Widget” on your sidebar in the case of a WordPress website or into a “Picture Gadget” on your sidebar in the case of a Blogger website (see tutorials below). Please confirm where you have placed your chosen logo by leaving a comment at the bottom of this page with a link to your website. 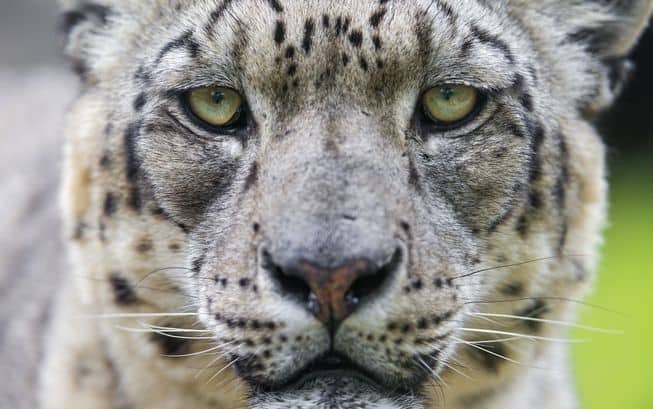 Thanks for supporting Wildlife Conservation. 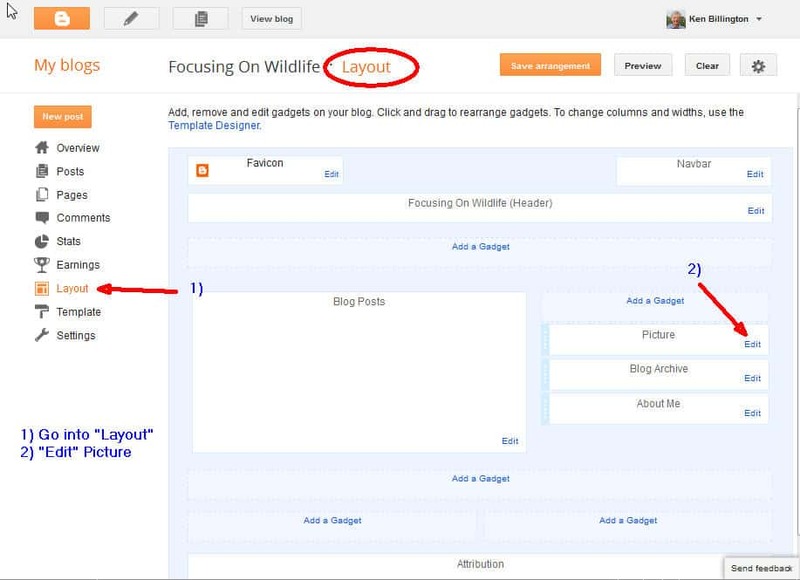 WordPress Step 2 – Drag a Text Widget into the Sidebar, add code into the Sidebar suitably modified depending on the logo size and background color required, then save. For a logo with a different size or background color please contact me directly. Hello! I added the logo and link on my blog Después de la Tormenta ( https://despuesdelatormenta.com ). Thanx! Greetings and nature conservation! The logo is mounted in the left footer of my front page (http://garryrogers.com). The logo looks great on your website! Heather, the logo looks great on your website! 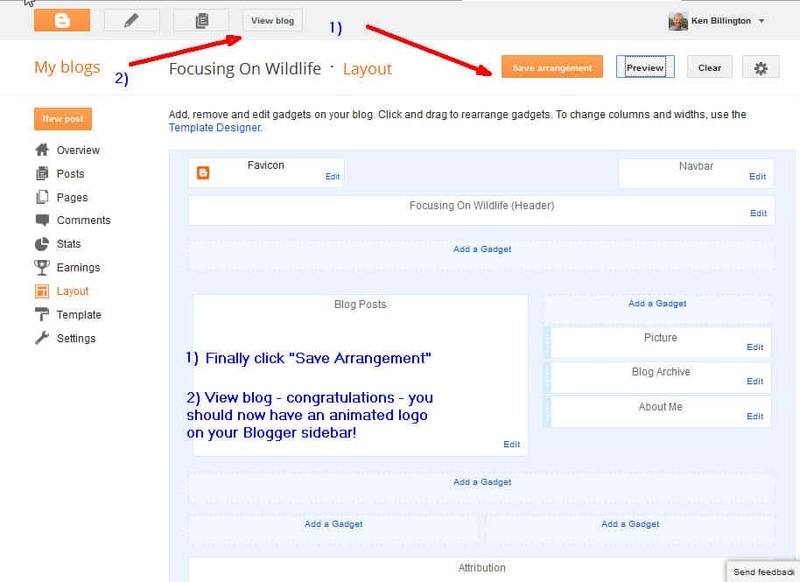 I´ve created a link to Focusing on Wildlife in my blog http://www.naturalia.me. My blog´s design doesn´t allow me to put it on the home page which I have decided to make very simple. It is, however, in a prominent place on the links´ page. We added the butterfly logo on our blog – http://indianbiodiversitytalk.blogspot.in/. Please add our blog to your list. Thank you. 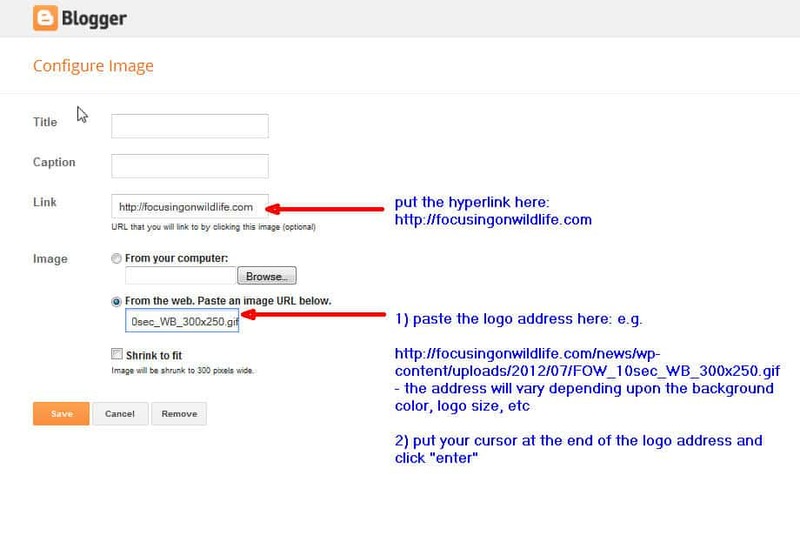 You’ll find your website is now listed on our links page https://focusingonwildlife.com/news/links-to-wildlife-photography-sites/ . Thanks for promoting our logo. 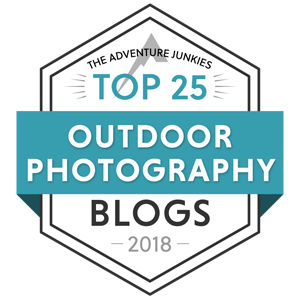 Thank you for listing our blog. Kimberly, I see that you have mounted the logo with a "black background" on your website http://wildlifewondersphotography.webs.com/ – the logo with a "white background" would be maybe better – you can get the link above. I added your logo to my website and added a link to your page as well! I'm excited to share your website with others. I lok forward to contributing my wildlife photos! The logo with a “white background” would be maybe better – you can get the link above. Our logo can only be used in combination with a back-link to our blog. I don't think that this is possible in Facebook. Please go ahead to add to your own blog, however. Can I use logo in my Facebook. Nice Logo+ valuble concept+happyAmar Nayak….. 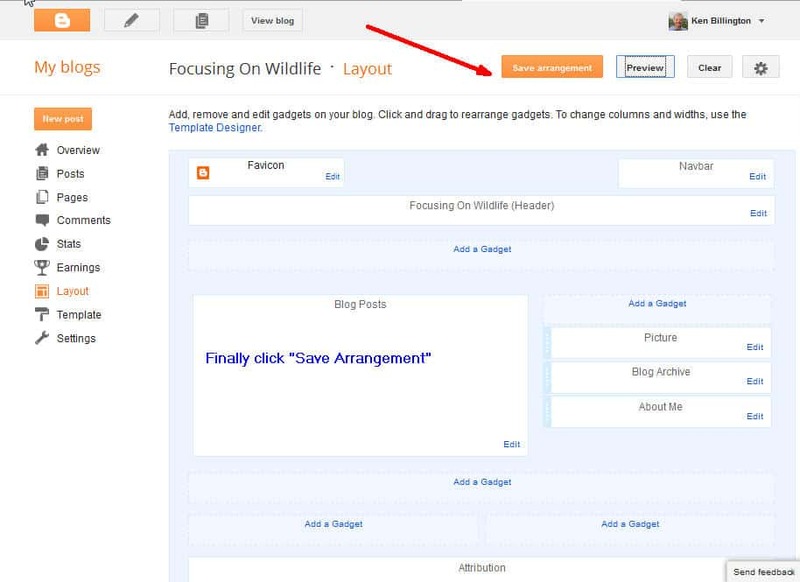 I have not been able to register myself in Focusing on Wildlife….What I am doing wrong? Not winning adding widget text shows up as Focus not a photo! 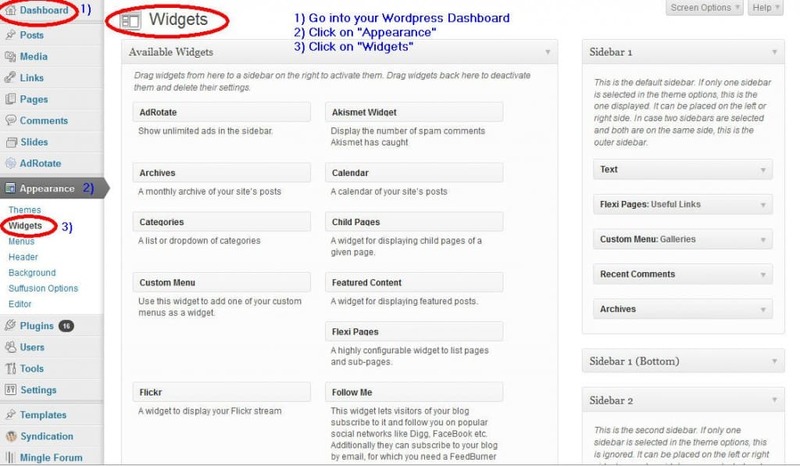 Wayne, for a wordpress blog, you need to add the “image widget” plugin – see wordpress tutorial above with screenshots of 6 steps. It is up and fluttering! I had not clicked ‘Enter’ at the end of the link, in the gadget! A little bit of France is participating! Hi Noushka, the butterfly looks great on your blog. 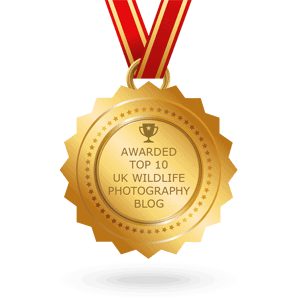 Congratulations on this excellent site and your work on behalf of wildlife conservation. We have recently joined your logo to our website and looks great. Cheers! Logo looks amazing and i love the line “focusing on the wildlife”. Will love to share this logo. Logo is installed on the Costa Rican Living and Birding blog. You can see the effect at my blog http://www.mike-barth.blogspot.com. Added this beauty logo to my blog page, top right., thanks Ken! Hi, here´s my blog address, you are welcome to visit me and leave me your comments, I would also appreciate if you could promote it, many thanks. Hi,here´s my blog address, you are welcome to vosit me and leave me comments. I would also appreciate if you could promote it, many thanks. Hi Ken. posted contributor logo to http://www.nextdoornature.org. My Blogger didn’t want to take the biggest logo, but the other one is just as fine I think. Cheers! Logo looks good on the sidebar of our blog, and I have it on our birding and orchids pages. 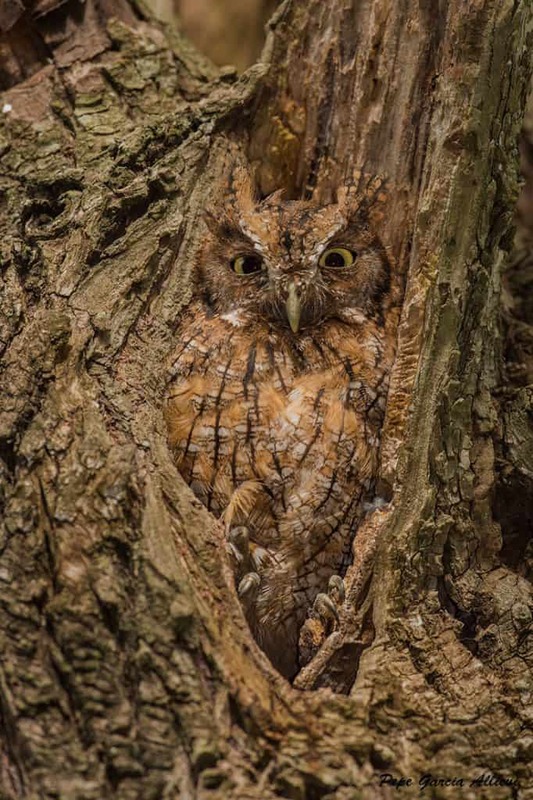 Larry, try commenting using the tip in the attached image. Hey Ken, how come most of our avitars don’t show up here? Thanks for doing such a great job on the logo Ken! I have placed it in my sidebar and it looks great! With pleasure, I love butterflies, regards from Argentina. Well done and super job. Hi Susan, can you confirm the URL of your blog? Then I can check it out. Thanks in advance.